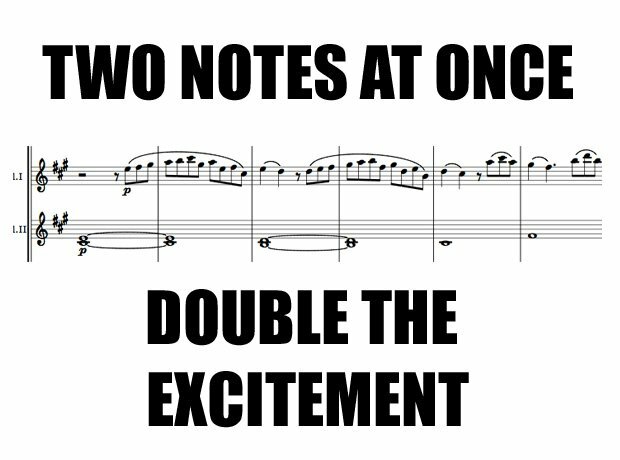 Pity the poor 2nd violinists. While the 1sts get the tunes, the 2nds have to labour with the oom-pahs, the pizz. accomp. and the annoying long chords that go on forever. This is for you guys.